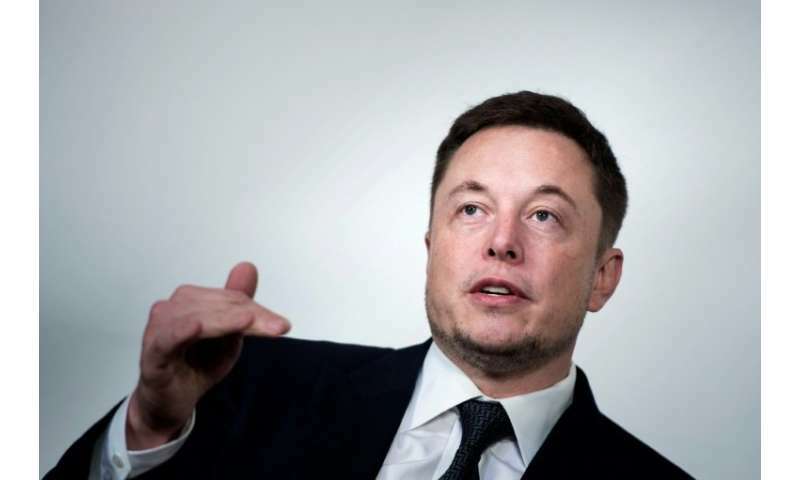 American space entrepreneur Elon Musk tweeted that he was in Thailand on Tuesday with a prototype mini-sub, at the flooded cave where five members of a youth football team remained trapped. "Just returned from Cave 3," Musk said. "Mini-sub is ready if needed. It is made of rocket parts & named Wild Boar after kids' soccer team. Leaving here in case it may be useful in the future." On Instagram, he published video of a flooded cave, with rescuers. Cave Three is about two kilometers (1.2 miles) from the entrance of the cave network and is the base for Thai rescuers. The footballers still awaiting rescue are about two kilometers further in, at a point very difficult to access. There is no indication so far that Thai rescuers plan to use Musk's prototype. By Monday night, elite divers had managed to bring out eight members of the football team which included 12 boys and their 25-year-old coach. The Thai rescue effort has been assisted by experts from around the world, and the death of a former Thai Navy SEAL diver who ran out of oxygen in the cave on Friday underscored the dangers of the mission. After garnering headlines with initial ideas of installing a giant air tube inside the cave complex and using his firm's penetrating radar to dig holes to reach the boys, Musk offered his idea for the mini-sub. He called it "basically a tiny, kid-size submarine using the liquid oxygen transfer tube of (a) Falcon rocket as hull." Musk said it was light enough to be carried by two divers, robust, and small enough to get through narrow gaps. The person inside need not swim or know how to use oxygen bottles. He posted video of divers escorting the pod during testing in a Los Angeles swimming pool. Last week, Musk said he was sending teams to Thailand from his private space exploration firm, SpaceX, and engineering firm, Boring Co. which is developing tunneling systems for transport projects. While offering the mini-submarine as a potential savior, Musk used the opportunity to promote space exploration. He is also co-founder of the Tesla electric car company. 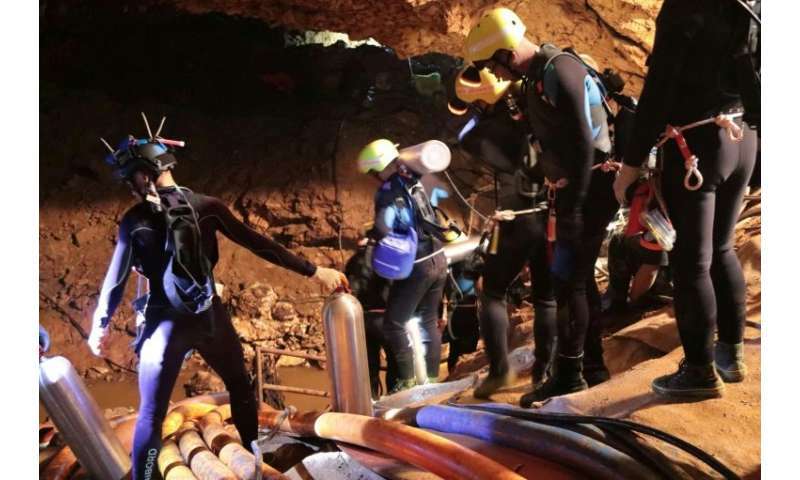 The Thai soccer team ventured into the Tham Luang cave complex after practice and became trapped by rising waters more than a fortnight ago. I wonder how well it might have navigated the part of the cave that is so narrow that divers had to remove their tanks? I guess it depends on the bendyness of the passage. I'm glad they got everyone out, no matter how they did it.